Cyron & Miller LLP, an AVÃÂ® Peer Review Rated law firm located in Alexandria Virginia, handles a broad range of legal matters, including civil litigation in state and federal courts, bankruptcy, and transactional work. Lawyers at Cyron & Miller LLP draw upon their years of experience in trust and estate law, probate, and elder law, to help clients evaluate their goals and meet their specialized objectives. The firm performs a variety of services in this area, such as developing sophisticated estate plans for wealthy individuals and families, assisting in administration and management of these estates and trusts, and advising beneficiaries on tax-saving techniques. Cyron & Miller's focus on practical and well-integrated solutions yields optimal client satisfaction and security. 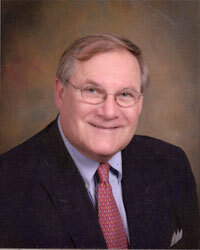 Founding partner Wayne Cyron has been in practice for over 35 years. He is AV Peer Review RatedSM by Martindale-Hubbell, the highest ranking available from his peers in the legal community. Mr. Cyron's main area of practice is the resolution of complex real estate transactions.